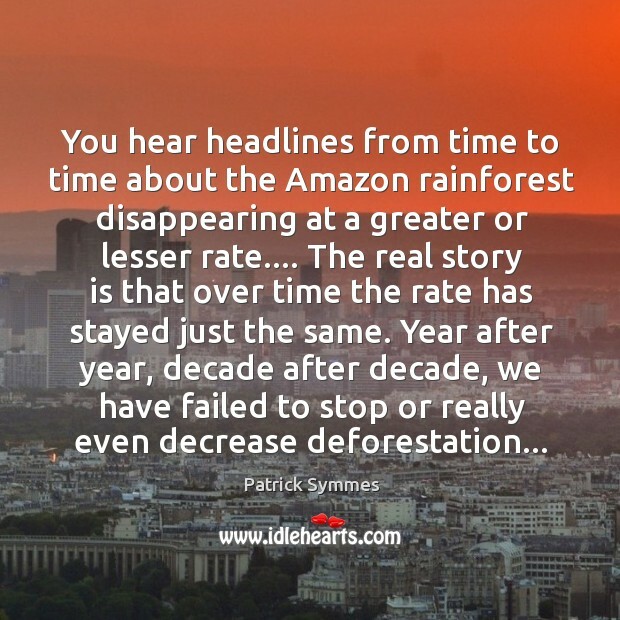 Quotations about Amazon Rainforest. Quotes to stimulate mind and drive action! Use the words and quote images to feed your brain inspiring things daily! 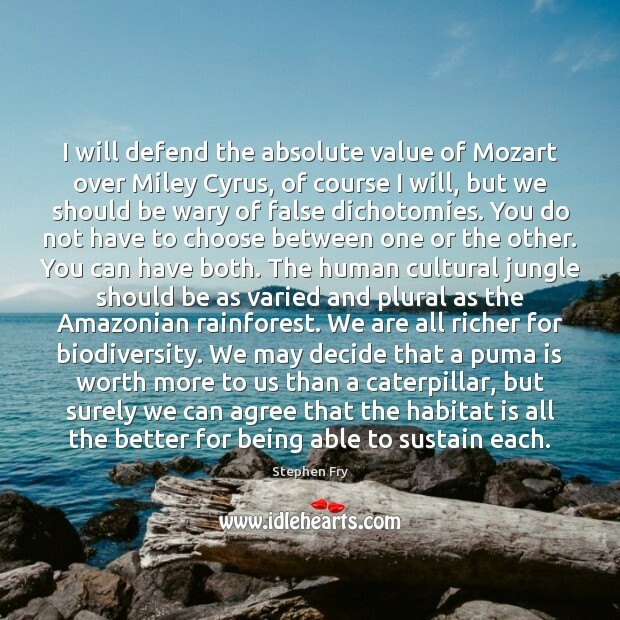 I will defend the absolute value of Mozart over Miley Cyrus, of course I will, but we should be wary of false dichotomies. You do not have to choose between one or the other. You can have both. 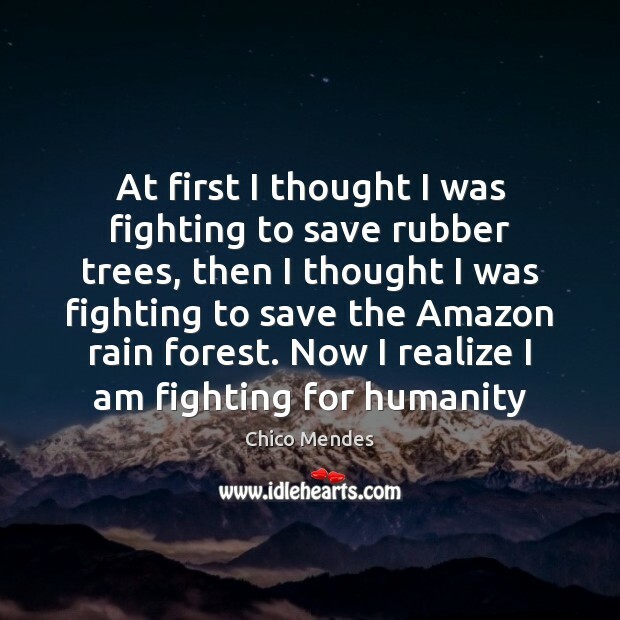 The human cultural jungle should be as varied and plural as the Amazonian rainforest. We are all richer for biodiversity. We may decide that a puma is worth more to us than a caterpillar, but surely we can agree that the habitat is all the better for being able to sustain each. 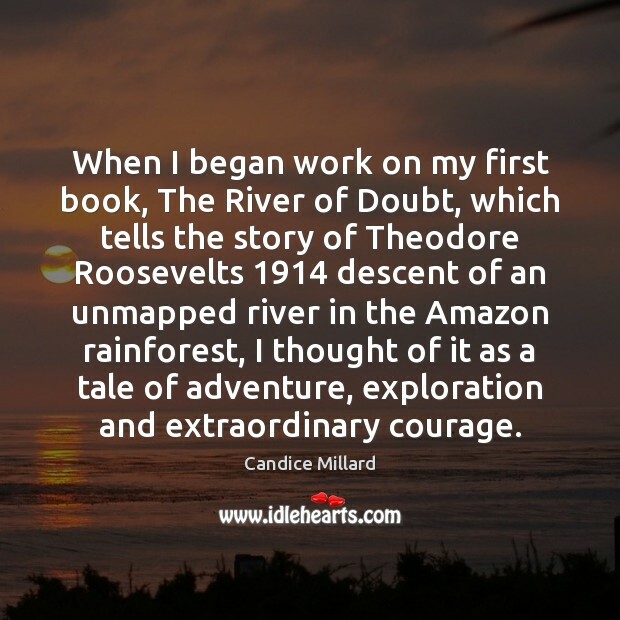 When I began work on my first book, The River of Doubt, which tells the story of Theodore Roosevelts 1914 descent of an unmapped river in the Amazon rainforest, I thought of it as a tale of adventure, exploration and extraordinary courage. 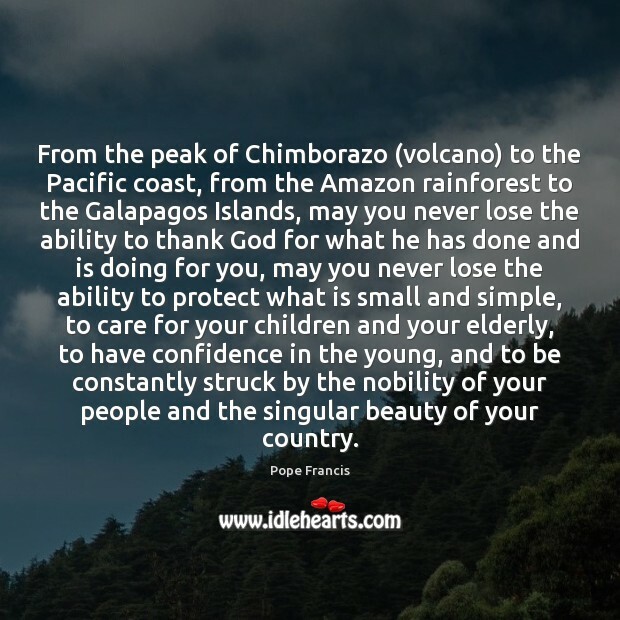 From the peak of Chimborazo (volcano) to the Pacific coast, from the Amazon rainforest to the Galapagos Islands, may you never lose the ability to thank God for what he has done and is doing for you, may you never lose the ability to protect what is small and simple, to care for your children and your elderly, to have confidence in the young, and to be constantly struck by the nobility of your people and the singular beauty of your country. When this is over...we will got to the rainforest, or a beach as white as bone. 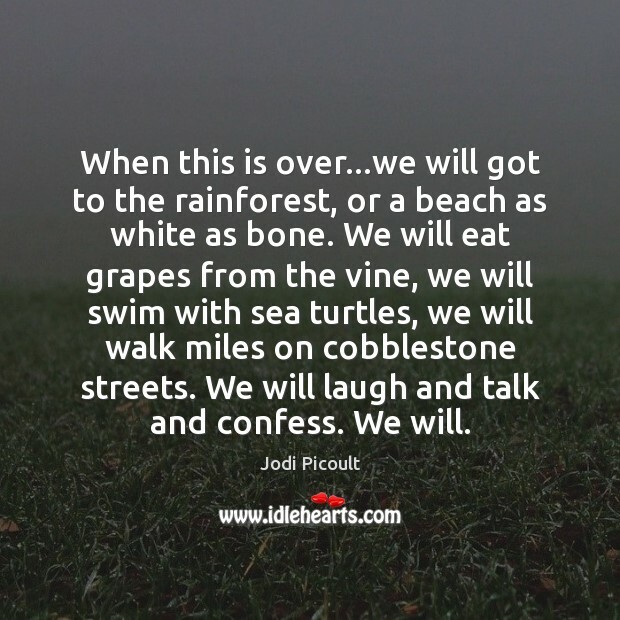 We will eat grapes from the vine, we will swim with sea turtles, we will walk miles on cobblestone streets. We will laugh and talk and confess. We will. 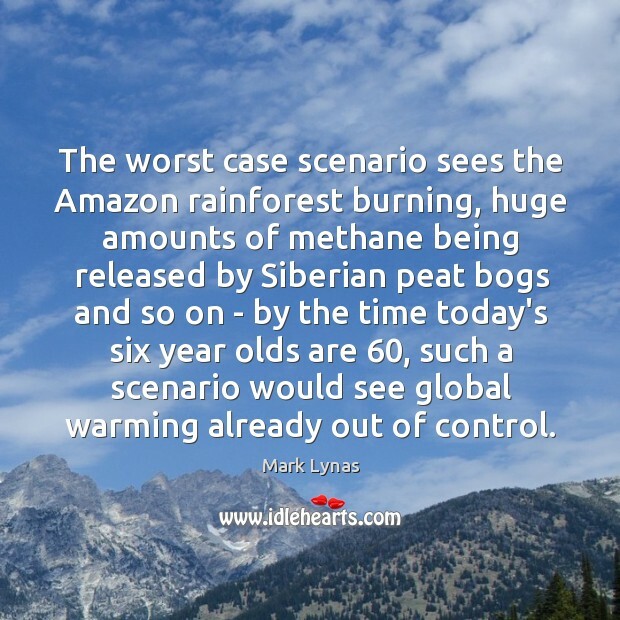 The worst case scenario sees the Amazon rainforest burning, huge amounts of methane being released by Siberian peat bogs and so on - by the time today's six year olds are 60, such a scenario would see global warming already out of control. When a chainsaw rips into a 2,000 year old redwood tree, it's ripping into my guts. When a bulldozer plows through the Amazon rainforest, it's ripping through my side. 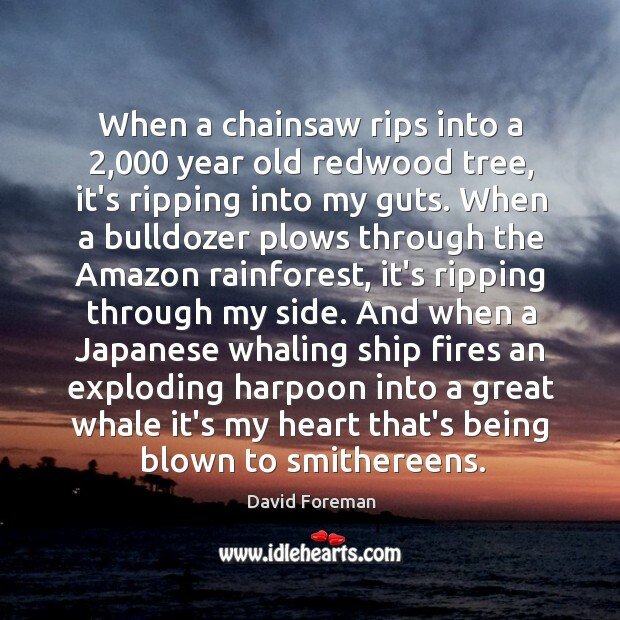 And when a Japanese whaling ship fires an exploding harpoon into a great whale it's my heart that's being blown to smithereens.